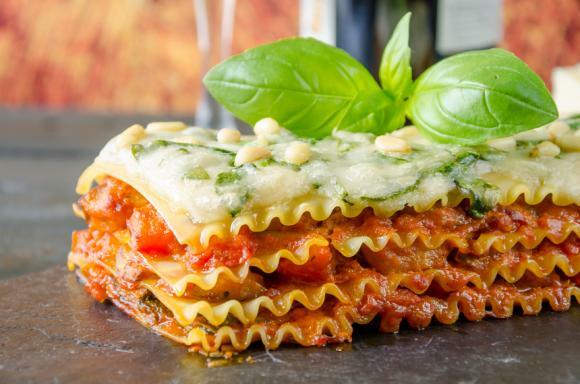 Cook lasagna sheets in a large quantity of boiling water until just barely tender; drain off most of water and quickly add cold water to the pan to stop the pasta sticking together. Then, in a saute pan, brown the meat with the onion and garlic. Remove any excess fat from the pan and cook, covered and over low heat, for about 5 min. Stir in mushrooms with the liquid, puttenesca sauce, tomato puree, salt and oregano. Simmer for 15 mins. Combine egg with spinach, cottage and parmesan cheese. 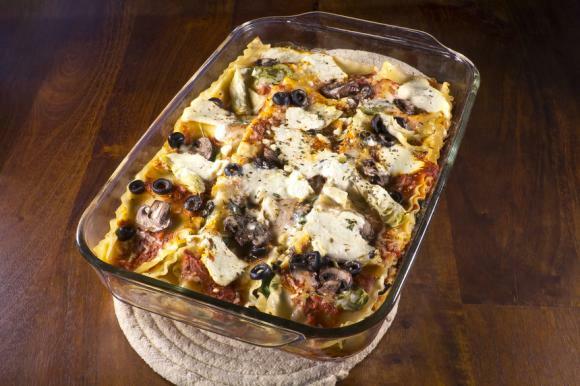 Spread one-third of the meat sauce in a small baking dish then cover with a quarter of the lasagna sheets. Alternate another third of the sauce and quarter of the lasagna sheets. 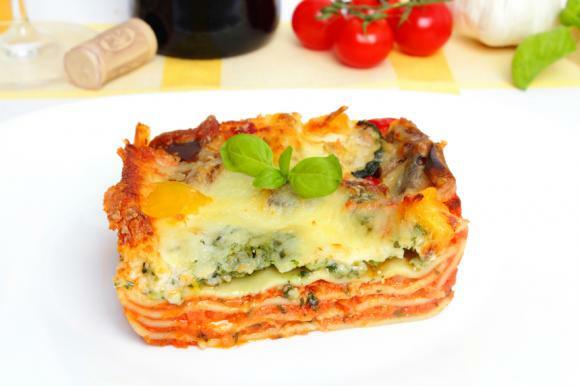 For the third layer, spread the spinach mixture over the pasta and then cover with another quarter of the lasagna strips. Top with remaining sauce and the pasta sheets and then spread the mozzarella slices over the top and bake at 180 degrees C (Gas Mark 4) for 30 mins. Let stand 10 mins before serving.